At times when I would wax existential looking at my newly mown lawn, a frown would come to my face when I realize that cockroaches have been around for over 200 million years. That’s right, if you could go back to the Jurassic Period, you’d most likely recognize the roaches being a nuisance to the colossal Brachiosaurus. However, what brings the frown to my face is that the roaches survived the extinction of the giant beasts. Cockroaches surviving the global cataclysm back then only speaks to the hardiness of these tiny critters, and as many incorrectly believe, only a small percentage of these insects are pests. However, with the few that are, you and I will need equally powerful and hardy anti-roach weapons. And although there are many, we’ll look primarily at gel baits and bait stations as some of the best roach bait killers. I’ve used expensive sprays, poison tables, IGRs (great for fleas), and sticky pads. However, I’ve been most successful in controlling roaches with Gel baits. In simple terms, gel baits are traps that lure roaches into ingesting and spreading insecticide that to them appears as a food source. This method avoids roach bait-aversion and is also a fantastic way to root out the source of an infestation: the nest. 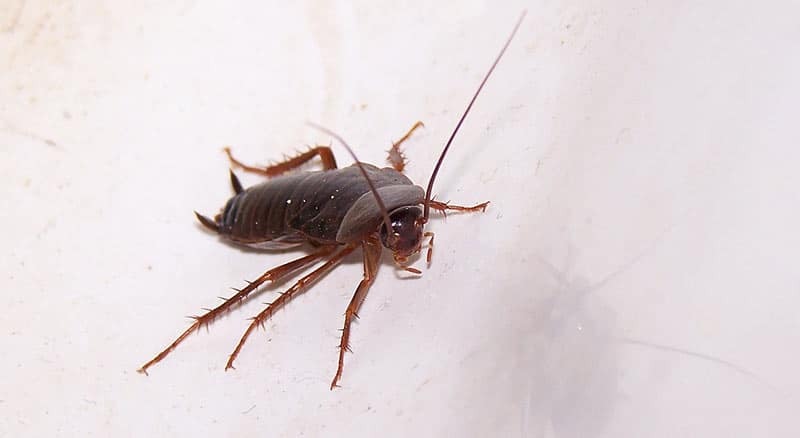 With gel baits, roaches will die of ingestion, contact, and will even remain potent after the insect has died as other roaches feast (and are also poisoned) on the remains. Again, the goal of the best roach bait killers is to kill roaches at their source: the nest. 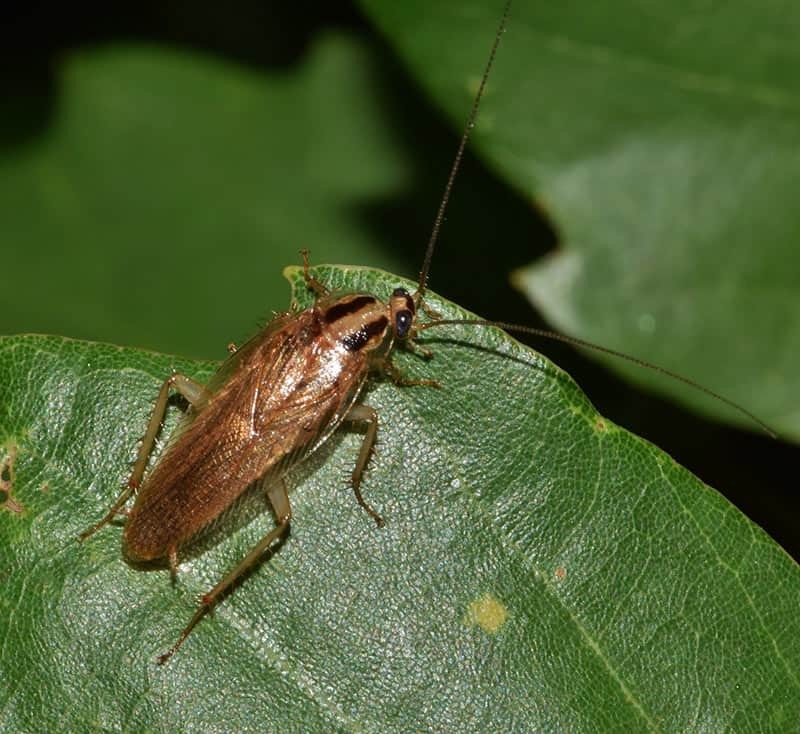 Let’s now look at the cockroach species that prove to be giant annoyances at homes their yards. There are over 4000 species of cockroaches. Before you start packing for the moon though, know that only around 30 of these cockroach species associate themselves with humans. Then, out of this 30 species, you’ll most commonly run into (and curse at) seven of the most common varieties. We can further divide this 7 into two groups: the smaller kind that can grow up to half an inch to one inch in size and the larger variety that can grow to 1.5 inches or more as adults. Smaller roaches, like the German roach tend to breed indoors and contaminate homes. For this reason, these little roaches are generally the bigger safety risk. Again, the German Roach is one of the worst in this category since it’s a carrier of disease. On the other hand, the larger varieties typically breed outside, so they’ll be more of an annoyance than a major health risk. You’ll often spot these roaches in your yard, or come into your home from the porch. Conversely, you must still keep populations in control even though experts say larger roaches do not spread disease. One of the most common as well as the most difficult to control and decimate. German roaches, or Blattella Germanica, are also disease-carriers. One of the best insecticides against German Roaches is imidacloprid. Studies (1, 2, 3, 4) have confirmed the efficacy of this insecticide against Blattella Germanica. First on our list of Gel Bait roach killers is the Invict Gold Cockroach Gel. Now, don’t let the 3/5 rating mislead you. This gel bait is an efficient killer, against German Cockroaches that is. A purchase will get you four 35-gram tubes ready for application where those pesky B﻿﻿lattella ﻿﻿Germanica frequent. Ideal for both indoor and outdoor use, the Invict Gold Cockroach Gel carries the active ingredient of Imidacloprid. Imidacloprid is a type of insecticide that acts as an insect neurotoxin. Hence, any roach that ingests comes into contact with this fatal toxin will most likely die within 24 hours. With 11 other ingredients making this gel very attractive to German roaches, you’ll soon see a significant decrease in their infestation. ​Powerful insect neurotoxin as the active ingredient. I’d have to give the award for the top Gel Bait to Advion Syngenta Cockroach Gel Bait. It’s an award well-earned as well. 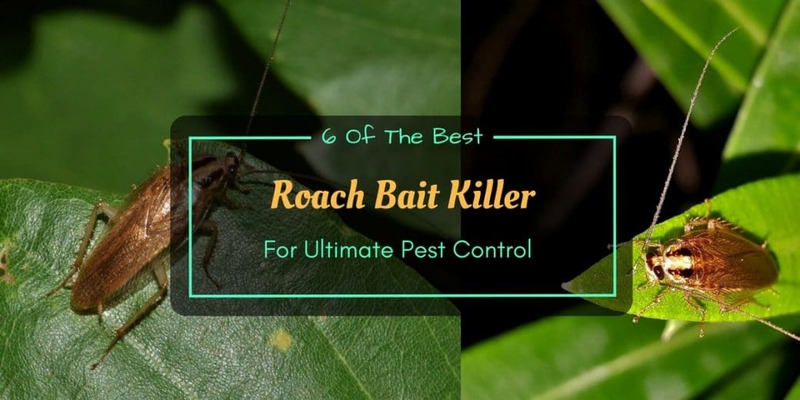 Targeting all species of cockroaches, the Advion Syngenta Cockroach Gel Bait’s formula is irresistible to roaches, even those that are bait-averse. One box will get you four 30-gram tubes and are perfect for industrial, residential, or commercial use – whether it’s inside or outside the property! The Advion Syngenta Cockroach Gel Bait boasts of the MetaActiveTM compound which its makers claim is a powerful attractant for those disgusting critters and yet, does not repel them like other baits. As far as I’ve tested, within minutes of application, the roaches quickly came out of hiding to feast on this gel bait. The gel dries out at times. However, this process rarely affects the bait’s efficacy. Last on our list of gel baits is the Maxforce FC Magnum – a strong contender against the Advion Syngenta Cockroach Gel Bait especially if you don’t need as much gel bait at home or for your garden. Buying the Maxforce FC Magnum will give you just two 330-gram tubes. However, like the product from Advion, Maxforce FC Magnun is perfect for both indoors and outdoors and works on a variety of roach species. It's also proving quite irresistible to those annoying cockroaches but with their own proprietary formula: ContactX. Maxforce claims that this new technology, carrying five times the amount of insecticide Fipronil, will kill roaches and spread quickly through the nest. The active ingredient Fipronil is somewhat similar to Imidacloprid as it also directly affects an insect’s nervous system. Typically, this neurotoxin causes insect death within 6 to 24 hours. With 12 Bait stations in the box, the Dupont Advion Cockroach Bait area will service even the harshest of infestation in your home or yard! Moreover, this bait station contains a potent, non-repelling insecticide with Indoxacarb as its active ingredient. This particular formula is highly effective at spreading among roaches, even those that never set foot inside the bait station. Lastly, you also don’t have to worry about bait-averse roaches as the gel formula inside is so appetizing to roaches that they are drawn to it like a moth to a flame. ​When are strategically placed, this bait station quickly takes care of large infestation stations. The gel bait inside may, at times, dry out. When this happens, only adult roaches will be strong enough to take the bait. What makes the Combat Max 12 Month Roach Killing Bait our top bait station? Simple, within 18 child-resistant bait stations is gel bait using Fipronil as its active ingredient. Hence, not only is there no need to apply gel bait to different surfaces, but you’ll also get the strong and fast-spreading power of an insect neurotoxin. When you place these numerous bait stations where roaches frequent the most, you increase your chances of spreading the insecticide to the roach nest which will then decimate the population like wildfire. Lastly, you won’t have to worry too much about curious young hands prying open these bait stations due to their child-resistant features. Last on our list of the best roach bait killer is the Hot Shot Ultra Liquid Roach Bait with its unique food and water formula. Additionally, a purchase of the Hot Shot Ultra Liquid Roach Bait will come with 6 bait stations that can kill various cockroach species as well as the eggs they carry! Through testing, I’ve found that this formula is remarkably more attractive to roaches than common gel baits.This part is true since cockroaches can survive months without solid food but will not last more than a week without water. The high moisture content in this bait station’s formula makes for a particularly appetizing meal for roaches. Hence Hot Shot can reasonably claim this bait stations efficacy as roaches will flock to the bait stations like animals to a water source during a drought! In fact, most of the time you’ll only need 24 hours to wipe out the better part of a roach nest!